Registered nurses (RNs) form the largest group of nursing professionals in Virginia, numbering over 60,000 throughout the state. Virginia is also home to 37,360 certified nursing assistants (CNAs) and 21,760 licensed practical nurses (LPNs). These figures reflect a large and growing demand for nurses by the state’s healthcare providers. 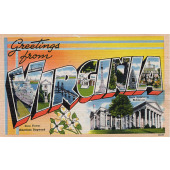 To meet this employer demand, Virginia has a wide array of accredited schools and programs for each nursing role. Several pathways lead to licensure as an RN. The bachelor of science in nursing (BSN) is a four-year degree program offered at roughly 30 Virginia schools. The associate’s degree in nursing (ADN) provides a condensed two-year path into registered nursing; it is offered at almost 50 campuses across Virginia. The state also has a small handful of hospital diploma and direct-entry master’s degree programs. Regardless of pathway, all aspiring RNs must pass the NCLEX-RN national exam to gain licensure. Virginia’s LPNs typically complete a 12- to 18-month certificate program. They must also pass the NCLEX-PN national exam to gain licensure. LPN certificate programs are offered at numerous community colleges and private career schools throughout the state. Aspiring CNAs must complete a much shorter certificate program offered at several of Virginia’s career schools. Class size is one important attribute that varies significantly across nursing schools. Virginia’s private nursing schools, like Chester Career College and Southampton Memorial Hospital, enjoy lower student-to-teacher ratios, state-of-the-art facilities, and tightly knit alumni networks. The state’s public nursing schools offer access to shared resources across a large network of public institutions, including the knowledge and instruction of actively practicing healthcare professionals. To help organize the many options available, we’ve listed below the top nursing programs in Virginia. You’ll find them ordered by class size within each major city.